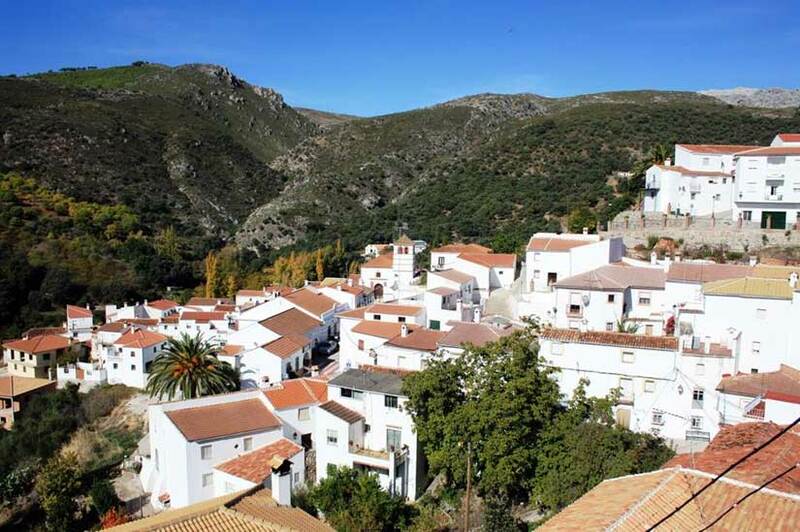 As is the case with so many of the villages in the Serrania de Ronda region, Juzcar stands on mountainous terrain, its streets and houses adapted to the uneven land on which they were built, thus creating a panorama of white buildings and peculiar chimneys projecting from the rooftops. Juzcar may well date back to pre-Arabic times, though there are few details available regarding the founding of a village which, like most of those in this area of the Serrania de Ronda, must have been linked to the existence of an Andalusi-Arabic farm. Later, like its neighbours, it was conquered by Christian armies. Juzcar and Parauta both claim to have been the birthplace of Omar Ben Hafsum, the famous muladí (Christian convert to Islam) leader who, between the 9th and 10th centuries, amassed a huge army in the impenetrable Serrania de Ronda and waged war upon the Caliphate of Cordoba, capturing a significant number of Andalusian towns and villages. Juzcar was formed by gathering together the inhabitants of a number of different settlements on the site of the present-day village. The church was built in 1505.